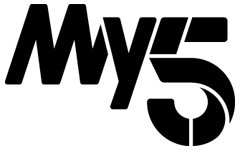 Channel 5's new catch-up channel My5 goes live on Wednesday 10th August, replacing the 24 hour timeshift of Channel 5 launched in early 2014. As reported last month, when first details of the change was announced, the new service which takes over from Channel 5+24 promises to be "fast reacting, topical and relevant", and brings linear and online catch-up from Channel 5 under one brand name. With the arrival of the new service, Channel 5 viewers can catch-up on popular morning current affairs show The Wright Stuff from midday. Neighbours and Home and Away have a new catch-up timeslot of 11am on My5. Beyond late mornings and early afternoons, factual shows, including a large dose of fly-on-the-wall documentaries, dominate the rest of the schedule, with back-to-back Cowboy Builders, Hotel Inspector, Eddie Stobart: Trucks and Trailers and crime documentary Suspects replacing films and dramas currently shown on Channel 5+24, with the occasional, obligatory benefit claimant documentary. Big Brother is notably absent from the initial schedules for the new service. The channel is due to take over Channel 5+24's current channel number on all digital platforms. Channel 5+24 is already operating as My5 following a licence name change filed at Ofcom last month.